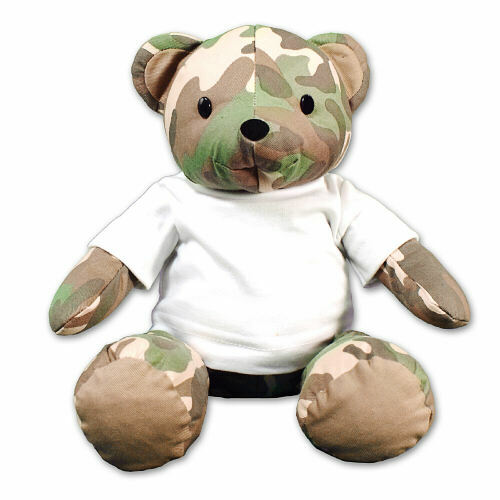 Land of the free Military Teddy Bear - 12"
Pay tribute to your special loved on in the US Armed Forces with a handsome Camo Teddy Bear like this. This classic My Hero Wears Camo Bear is a one of a kind gift that is always enjoyed. This Military design is featured on our "My Hero Wears Camo" Teddy Bear. Measuring 12" tall and includes free personalization. Free Gift Wrapping and a Free Gift Card are included to create a thoughtful presentation. Additional Details Remember your loved ones who are fighting to protect our country with Personalized Patriotic Plush Animals. 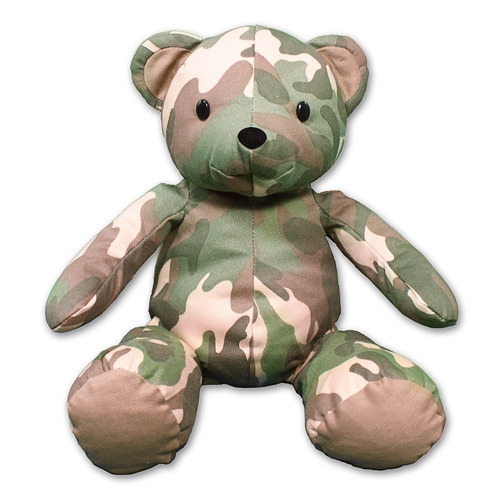 You can send a Patriotic Plush Animal as a gift or keep it for yourself as a constant reminder of your beloved solider. Our Personalized American Flag Teddy Bear and our USA Pride Ribbon Teddy Bear also makes a wonderful gift idea.